Well, another year has ended, and another winding-down Nintendo console has passed the baton to its successor. The Wii U, Nintendo's new generation console, is now the focus for fans—and something for me to anticipate as I save up to buy my own. 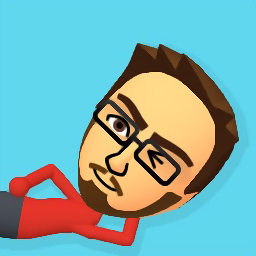 As I go forth into 2013, I find myself taking a look back on my way forward, and reflecting on my own past experiences with the Wii. The Wii was the first console I ever stood in a launch day line for. T'was a cold November morning in 2006. A light, sporadic drizzle added to the misery of around a hundred people standing outside Best Buy. I was number 62 in line—early enough to be guaranteed a system. We stood there for about two hours before they let us inside. By the time I was finally able to scurry home with my spoils, a six year love affair with Nintendo's little white box had already begun. There's a phrase quite popular online: "dust off your Wii." A phrase that annoys me to no end. Why would you need to dust off a system loaded with great games? I get it though. The Wii suffered some rather gaping genre holes in its library. If you were primarily a consumer of first-person shooting games or big-budget cinematic experiences, the Wii's fare was a bit sparse. And yet, I own more games for it than any other system. In total, I've owned nine consoles and four portable systems (not counting all the iterations of the Game Boy), but never had as large a library of games for any of them as I do for my Wii. The secrets to enjoying the Wii's offerings, I figure, are a willingness to try new things, and the capacity to enjoy variety; a quick glance through my Wii library reveals something like eighteen different genres of games. My taste for variety is something I built little by little over the years, but truth, it almost became mandatory during the last generation of games since my staples from the previous gen almost vanished (yeah, there's some good variety of games in the indie community, but I was more focused on the retail spotlight). Seriously, where were my 3D platformers and whimsical action-adventure games? About all I see anymore are angry bald men and advanced graphics engines competing to create the most realistic dirt and rust textures. I want—and have always wanted—game worlds lush with color, life, and mystery. It's little wonder the Zelda series remains a good representative of my preferences to this day. In this regard, the Wii started with a bang. The system didn't launch with all that many games, but it did have Twilight Princess. Twilight Princess was rather unique in that it straddled two consoles, the GameCube and Wii. I chose the Wii version to no regret, and ultimately had no trouble with the added motion control. No, not even the bobber-fishing. But outside of Twilight Princess, I began to fear an oncoming trend. Sure, I really liked Wii Sports and upgraded to Wii Sports Resort later on, and I dabbled in a little Raving Rabbids action, but there didn't seem to be anything else I was that familiar with on the horizon. The dread of another N64-esque drought began to creep into my conscious mind, alleviated only somewhat by the existence of the Virtual Console and WiiWare. The rest of 2006 rolled by quickly, bringing little else to my Wii library. The next games to catch my attention were quite off my usual beaten path. There was the quirky platformer Dewy's Adventure, the colorful twin-stick shooter Geometry Wars: Galaxies, the motion-control adventure Zack and Wiki, and the tilt-maze Kororinpa. Later on, Fire Emblem, Mario Galaxy, and Metroid Prime 3 offered some semi-familiar ground, but those were first-party guarantees. Outside of the cash-ins and the crap, third parties seemed to be going experimental, and without a crowd of bigger titles to drown them out, they drew my interest and taught me to embrace the niche. Though 2007 was a great year in Wii land, 2008 was a bit of a different story. Aside from first party mega-hitters Mario Kart Wii and Super Smash Bros. Brawl, the only game to really capture my imagination was Endless Ocean. 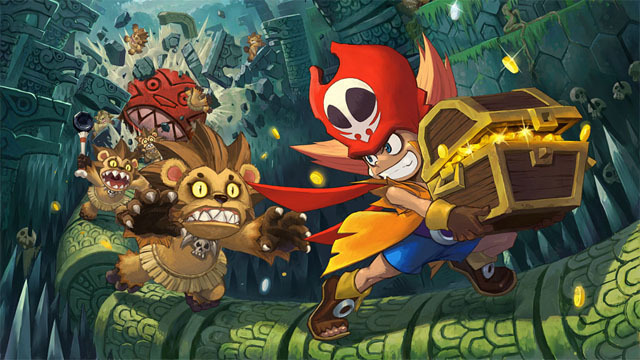 It proved to be the sort of game I never would have taken a second look at before the release of the Wii, with numerous GameCube and PS2 games already catering to my established tastes. With nothing else on the immediate release horizon to anticipate, this quiet little game found its way to center stage. I took a chance on it and was subsequently delighted with its relaxing pace, lovely visuals, and invitation to explore and collect educational info about the animals I encountered. Eventually I gave my copy to a friend, but only because I'd upgraded to Endless Ocean 2. After a quiet 2008, my wish list exploded in 2009. Nintendo brought forth another Mario game, but the plumber was far from alone. I'd already been introduced to the Rune Factory series on the DS, so the release of Rune Factory Frontier was a big deal. It went a long way towards scratching my action-adventure itch, which had gone unaddressed since Twilight Princess. 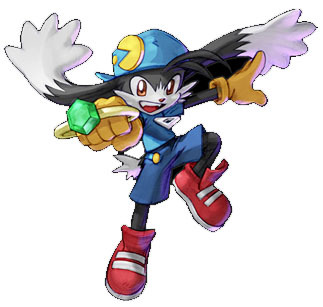 Then there was the re-release of one of my all time favorite 2D platformers, Klonoa. Originally a PS1 game, the Wii release saw completely updated graphics and added bonuses. Once again, however, most of the titles I picked up that year were new to me. One of the Wii Sports attractions I had a lot of fun with was back at release was boxing. When Punch-Out!! was announced, the idea of a full game built around motion-controlled boxing peaked my interest, and the wonderful art style sealed the deal. While some may prefer playing it with traditional controls, I loved jabbing at the air with the Remote and Nunchuk to pull off knock-outs. Another game to find a permanent place in my collection was Little King's Story, which took the Pikmin approach to real-time strategy games and added some RPG elements. It was fun, colorful, occasionally brutal, and surprisingly dark in the end. Finally, the year was rounded out with another pair of 2D titles, which, along with New Super Mario Bros., marked the start of a 2D revival. First was Muramasa: the Demon Blade. The beautiful hand drawn art style was an absolute treat and the intense, difficult action was refreshing. The other title, A Boy and His Blob, went the opposite way. Focusing on slower-paced platforming and solving puzzles, it provided a fine counterpoint to Muramasa. The momentum continued throughout 2010. The first game on my line-up was Red Steel 2. I had never played the first Red Steel and thus had no, ahem, hard feelings towards the series. Again it was a combination of art style and nifty game mechanic that attracted me. I'm not a fan of the FPS genre, but swordplay? Like Punch-Out, the game provided a nice implementation of motion controls. I rarely used the guns, instead focusing on the sword, and had a blast. 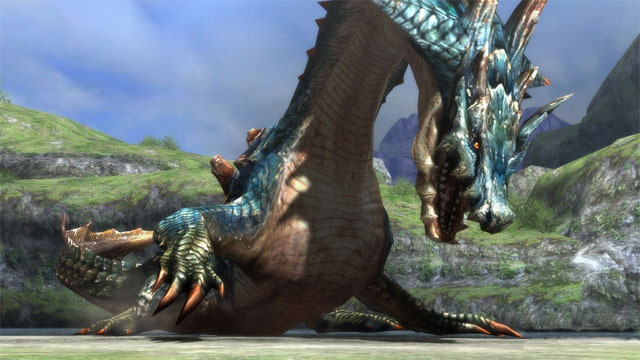 The next game I got that year was Monster Hunter Tri. This was a game in yet another series I'd never played (or heard of for that matter) that my blossoming desire to try new things keyed me onto. It has since become my most-played game, and the only game I actually enjoy playing—stress-free—online. 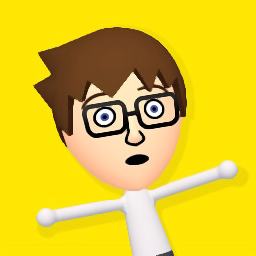 (A new, vastly expanded version is coming out for the Wii U in March.) When Tri was released, I wrote an in-character journal chronicling my experiences in the game, and I'm planning on doing the same for Monster Hunter 3 Ultimate. That same year, Mario made another stellar appearance in a direct sequel to Super Mario Galaxy. Many enthusiastically claim Galaxy 2 is even better than the first game, but I like them equally and felt the story of the first game was a nice touch. Another direct sequel, this one to a formerly import-only Nintendo 64 game that I happened to love on its original release also saw the light of day in 2010. Sin & Punishment 2, a hyperactive corridor shooter, didn't quite capture anywhere near as much of an audience as Galaxy 2 did, which is a shame, because it is awesome. The final games to cap the year for me continued the 2D revival. 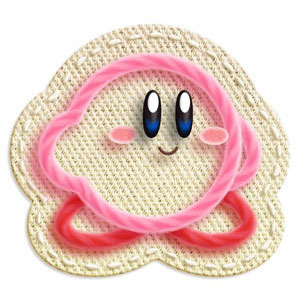 First up was Kirby's Epic Yarn, which ended up being a relaxing game to play, with a focus on collecting beads instead of lives. The cloth and yarn art style was a visual treat. Hot on Kirby's heels came Donkey Kong Country Returns, a game I never saw coming, and from Retro Studios no less. I'm not really a fan of Donkey Kong. He had a good run with the first two Country games, and that's where my interest ended, especially after the disorganized and sprawling affair that was Donkey Kong 64. Retro, however, proved their ability to revive seemingly retired franchises wasn't limited to Metroid. I liked Returns better than Rare's original games, and (like everyone else) want very badly to know what Retro is working on now. 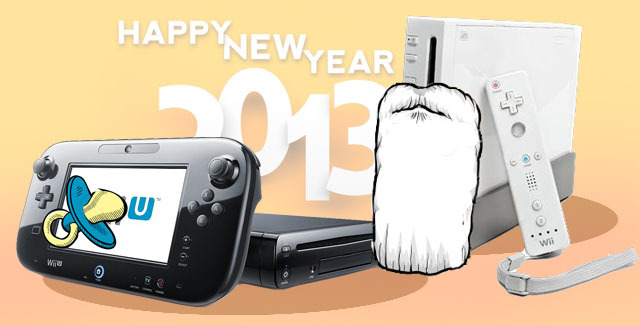 All good things must come to an end though, and by the time 2011 arrived, the Wii was pretty much finished. 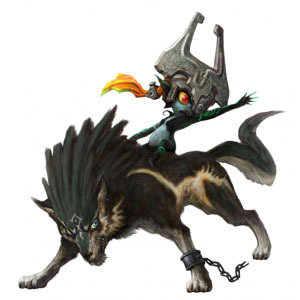 One of the last hurrahs from Nintendo was The Legend of Zelda: Skyward Sword. It mixed Wind Waker's cel-shading with something more akin to Twilight Princess' character and environment designs, creating a lovely watercolor aesthetic. Skyward Sword experimented greatly with the classic Zelda formula, melding the overworld and the dungeons together by spreading out its challenges, rather than sequestering puzzles and major battles in the dungeons alone. But Zelda came at the end of the year, as did a couple of 2011's other notable games: Kirby's Return to Dream Land, and Rayman Origins. And so we come to 2012. In fact, the last few games for the system nearly didn't make it to American shores at all. Rhythm Heaven Fever, a game loaded with outrageous scenarios designed to make you button tap to the beat, inexplicably got a US release. And after that, two great RPGs that took the full force of Internet fandom behind them to see the light of day. 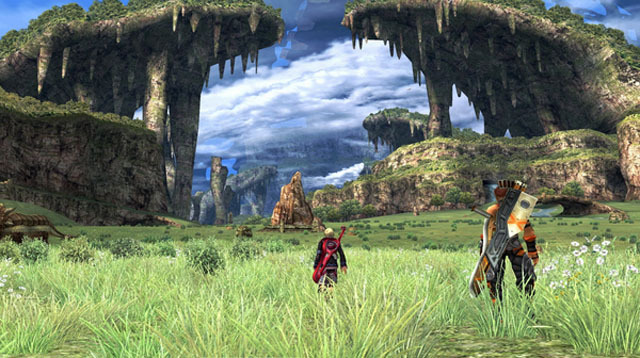 First up was Xenoblade Chronicles, which had one of the most vast, imaginative, and beautiful worlds I've ever seen. Before its American release was announced, I watched a few videos of the game and very seriously contemplated importing the European version. When I finally got to play it, it did not disappoint. In fact, it's the only RPG I hold in as high regard as my all-time favorite, Chrono Trigger. The other game, The Last Story, didn't quite hit the stratosphere like Xenoblade, but I still enjoyed it a good deal. All three were great games that helped to make the Wii's rather sparse final year remain memorable. And there you have it—hardly an exhaustive or in-depth look at the Wii release library, but definitely evidence that the Wii had more to offer than just budget titles and mini-game collections. And many of which I'd have never discovered had I remained set in my old ways of only playing what seemed familiar! I guess what I'm saying is that we should all be willing to explore the new and unusual, and we can discover a wider world. It would have been a shame to let the fear of the unknown cause me to miss out on so much great gaming with the Wii. 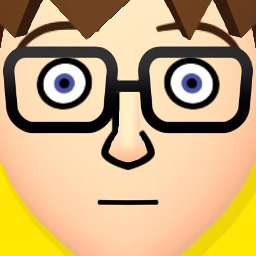 I can only hope the Wii U will give me the opportunity to discover more pleasant surprises and unexpected gems in 2013, the year after that, and beyond.